Hockey is often claimed as the National Game of India. It is widely considered that hockey was introduced in India by British. But there are not many theories to support it. But the game was widely played throughout the country. The first hockey club in India was set up in Calcutta in 1885-86 and later more clubs were established in Bombay and Punjab. Indian national field hockey team was the first non-European team to be a part of the International Hockey Federation. Indian Hockey was the strongest team in the world after it won the first Olympic gold medal. It maintained the top position in 1960, after winning six gold medals in a row. The team had a 30-0 winning streak during this time, from their first game until losing in the 1960 gold medal final. India also won the 1975 World Cup. India is the most successful team ever in the Olympics, having won eight gold, one silver and two bronze medals till date. After their gold medal win at the 1980 Olympics, the Indian Hockey team's performance began to decline. In 2016, the Indian men's team won its first ever silver medal in the Champions Trophy and reached the knockout stage of the Olympics for the first time in 40 years. As of 2018, the Indian team is ranked fifth in the world. With sponsorship falling down, the Government of Odisha for the first time sponsored the Indian national field hockey team, both men and women team. In a first-of-its-kind association, the state has decided to support the India's field hockey team for next five years. Hockey Indian Men team Captain: Manpreet Singh is the captain of the Indian hockey team. He will be leading the team for the upcoming World Cup in Bhubaneshwar (Odissa). Chinglensana Singh Kangujam has been appointed vice-captain while the squad also features PR Sreejesh and Krishan Bahadur Pathak as goalkeepers.He joined Hockey Team and played for India in 2011 at the age of 19. He represented India at the 2012 Summer Olympics and was named Asia's Junior Player of the Year in 2014.He was named in the Indian squad for the 2016 Summer Olympics. 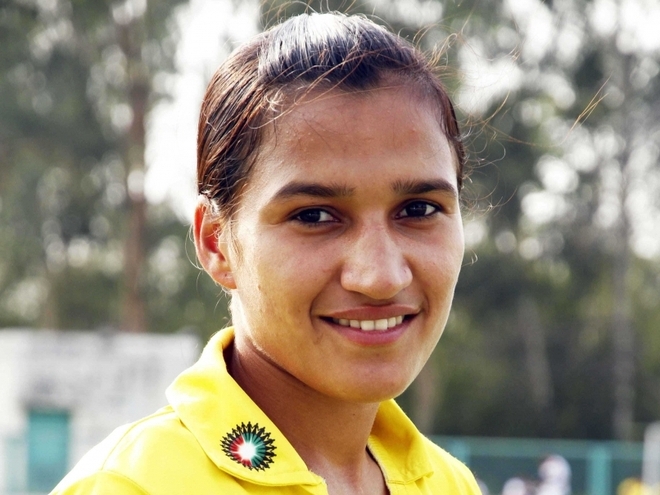 Hockey Indian Women team Captain: Rani Rampal has been named as the captain of India Women team. She will be leading the 18-member squad for the prestigious 2018 women’s hockey World Cup tournaments. India’s defence will consist of Sunita Lakra, Deep Grace Ekka, Deepika, drag-flicker Gurjit Kaur and Reena Khokhar. In the midfield, Namita Toppo, Lilima Minz, Monika, Neha Goyal, Navjot Gaur. Hockey Men Team (Probables): Maninderjeet Singh, Sukhjeet Singh, Mohammed Raheel Mouseen, Rajkumar Pal, Abharan Sudev Belimagga, Jagdeep Dayal, Dilpreet Singh, Vivek Sagar Prasad, Amit Gowda, Mohd Umar, Dharminder Singh, Pradeep Singh, Hardik Singh, Gurjant Singh, Krishan B Pathak, Suraj Karkera, Sumit Kumar, Simranjeet Singh, Manpreet, Nilakanta Sharma, Varun Kumar, Harmanpreet Singh, Nilam Sanjeep Xess, Anand Lakra, Vikas Dahiya, Gurinder Singh, Gagandeep Singh, Sumit, Dipsan Tirkey, Armaan Qureshi, Lalit Kumar Upadhyay, Ramandeep Singh, Gurjinder Singh, Amit Rohidas, Jarmanpreet Singh, Amon Mirash Tirkey, Surender Kumar, Mandeep Singh, Birendra Lakra, Akashdeep Singh, Sardar Singh, Manpreet Singh, Rupinder Pal Singh, Sreejesh Parattu Raveendran, Chinglensana Singh, Kangujam, Sunil Sowmarpet Vitalacharya, Khadangbam Kothajit Singh. 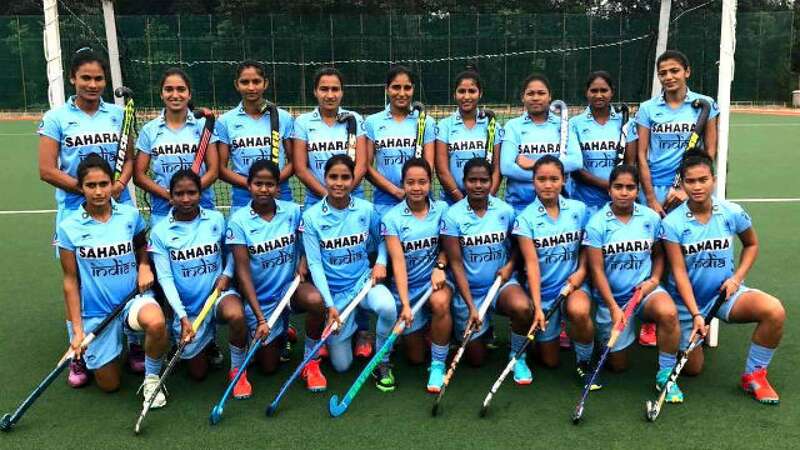 Hockey Women Team (Probables) : Birajani Ekka, Leelavathy Mallamada Jaya, Siddhi Singh, Lalremsiami, Anjali HR, Matri Ramwala, Nisha, Kruthika S.P, Kanika Raj, Chanchal, Nilanjali Rai, Rajwinder Kaur, Puja Yadav, Suman Devi Thoudam, Neelu Dadiya, Manmeet Kaur, Swati, Udita, Mahima Chaudhry, Shyama Tirgam, Jyoti, Sonika, Preeti Dubey, Anuja Singh, Rashmita Minz, Karishma Yadav, Manpreet Kaur, Reena Khokhar, Gurjit Kaur, Sunita Lakra, Nikki Pradhan, Priyanka Wankhede, Sonal Minz, Rajani Etimarpu, Deepika, Sushila Chanu Pukhrambam, Vandana Katariya, Rani, Savita, Soundarya Yendala, Navneet Kaur, Lilima Minz, Navjot Kaur (Sr.), Neha Goyal, Anupa Barla, Deep Grace Ekka, Namita Toppo, Monika. Harendra Singh is the current head coach of Indian Hockey Men's team. He is a Dronacharya Awardee, has been appointed as High Performance Specialist Coach for Indian Senior Women Hockey Team. He was appointed on the basis of his past performance. It should be noted that his coaching, the junior men team won the Junior Men's World Cup in 2016 (Lucknow). He was also the Chief Coach of the Senior Men Hockey team from 2008 to 2009 and National coach from 2009 to 2010. He is a Level III certified Coach. Mohammad Mushtaque Ahmad is the President of Hockey India. He was elected as the President of Hockey India following the 8th Hockey India Congress and Elections. Ahmad who formerly held the Secretary-General post will now take over from outgoing President Rajinder Singh. Other members of the board include, Mr. Gyanendro Ningombam (Sr. Vice President), Mr. Rajinder Singh (Secretary General), Mr. Tapan Kumar Das (Treasurer), Ms. Asima Ali (Vice President), Mr. Bhola Nath Singh (Vice President), Ms. Asunta Lakra (Joint Secretary), Mr. Firoz Ansari (Joint Secretary). Unlike cricket or football, there are not many movies based on hockey in India. But there are good quality of movies, which have praised the glory of the game. Here are some of the most important movies based on hockey in India. 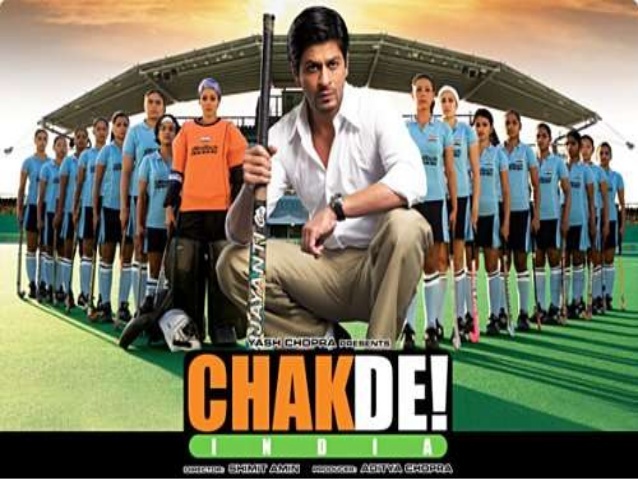 Chak De India (2007): It was a hockey film directed by Shimit Amin and produced by Aditya Chopra. The screenplay was written by Jaideep Sahni, sports scenes choreographed by Rob Miller. With Shah Rukh Khan, Vidya Malvade, Sagarika Ghatge, the movie was a based on a fictional story about the Indian women's national field-hockey team, which was inspired by the team's win at the 2002 Commonwealth Games. Harjeeta (2018): Harjeeta is a hockey based Punjabi film directed by Vijay Kumar Arora. It was inspired from true stories, starring Ammy Virk and Pankaj Tripathi. It is a story about a poor boy raised in a dysfunctional home who dreams of winning the World Cup in field hockey. 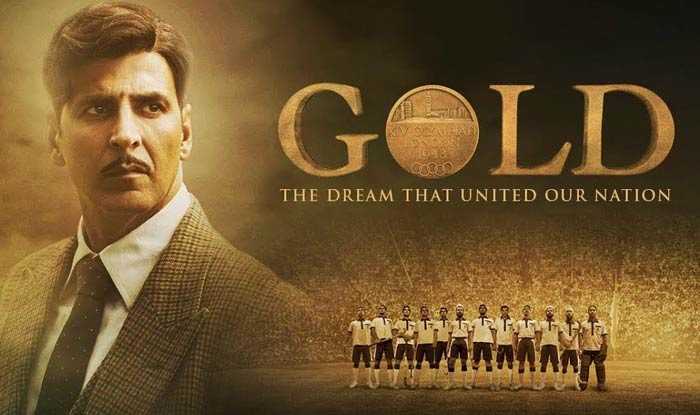 Gold: The Dream That United Our Nation (2018): It is an Indian historical sports-drama film directed by Reema Kagti. 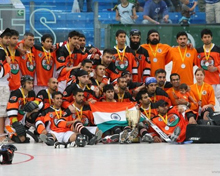 It is based upon the national hockey team's title at the 1948 Summer Olympics, starring Akshay Kumar, Mouni Roy. It is produced by Ritesh Sidhwani and Farhan Akhtar under the Excel Entertainment banner. The movie became the first Bollywood film ever to release in Saudi Arabia. Soorma (2018):It is an Indian biographical sports drama film based on the life of hockey player Sandeep Singh. It is directed by Shaad Ali and produced by Sony Pictures Networks India and C.S. Films. The movie stars Diljit Dosanjh and Tapsee Pannu in lead roles. The movie plot deals with hockey player Sandeep Singh, played by Diljit Dosanjh, who was paralyzed and used a wheelchair for two years after an accidental gunshot injured him in 2006. Indian Hockey Committee organised some tournaments in india. Republic All India Hockey Tournament, Katni, M.P. Bhagat Singh All India Hockey Tournament,Gwalior,M.P. Mahanth Raja Sarweshwer Das memoriol All India Hockey Tournament,Rajnandgaon,C.G. New Delhi, April 18 (IANS) Gursimran Singh has been appointed Vice President of the Delhi Hockey Association (DHA), the body announced on Thursday. 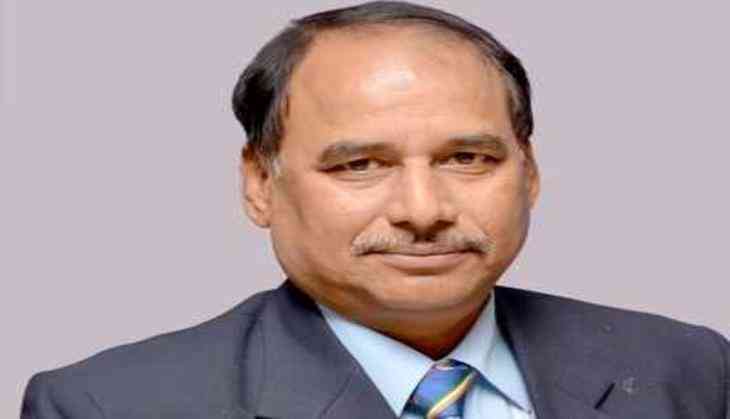 View More..
New Delhi, April 12 (IANS) Hockey India (HI) on Friday confirmed Phurailatpam Nirmalata's appointment to it's Executive Board replacing former India women's captain Asunta Lakra, who resigned as the Joint Secretary due to personal reasons. View More..
Kuala Lumpur, April 11 (IANS) The Indian Women's Hockey Team remained unbeaten through the 5-match bilateral series as they clinched the fifth match with a 1-0 win against Malaysia here on Thursday. View More..
New Delhi, April 8 (IANS) Hockey India has named Graham Reid as the new chief coach of the Indian men's hockey team. The 54-year-old will join the team in Bengaluru shortly for the ongoing national camp at the Sports Authority of India. View More..
(ATTN Editors: IANS is beginning a new series from March 31, 2019, titled 'Where Are They Now' that takes yesteryear legends down memory lane. This series will run every Sunday. Editor IANS) View More..
Ipoh (Malaysia), March 29 (IANS) With their final berth already sealed, India toyed with Poland and thrashed them 10-0 in their final group stage game of the Sultan Azlan Shah Cup here on Friday. View More..
Ipoh (Malaysia), March 28 (IANS) After securing their berth in the final of the 28th Sultan Azlan Shah Cup with one match remaining in the pool stages, the Indian men's hockey team is upbeat and confident of finishing the tournament as champions. View More..
Ipoh (Malaysia), March 27 (IANS) Continuing its winning run, the Indian men's hockey team hammered Canada 7-3 in the Sultan Azlan Shah Cup here on Wednesday to move one step closer for a place in the final. 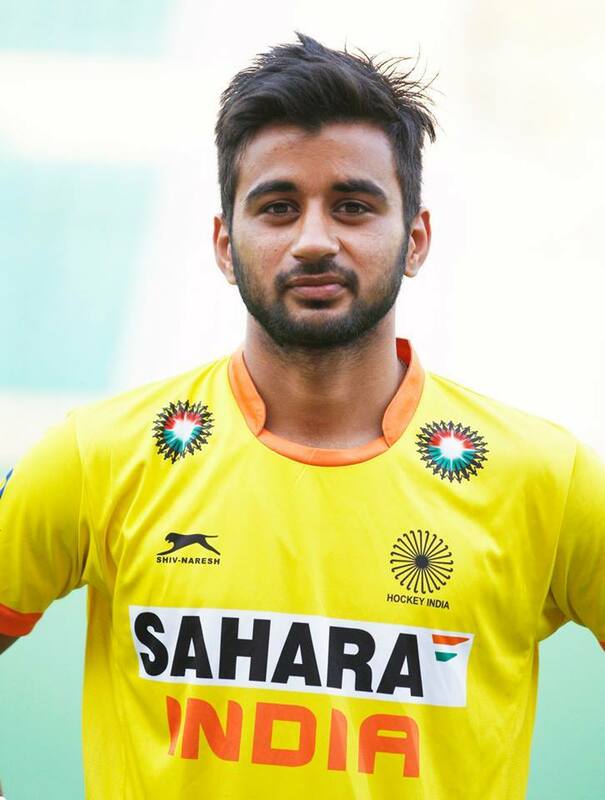 View More..
Ipoh (Malaysia), March 27 (IANS) India rode Mandeep Singh's hat-trick to hammer Canada 7-3 in their fourth league game at the Sultan Azlan Shah Cup, here on Wednesday. View More..
New Delhi, March 27 (IANS) Experienced goalkeeper Savita will lead the 18-member Indian team in place of injured Rani while defender Deep Grace Ekka will be her deputy for the five-match series in Kuala Lumpur starting on April 4, Hockey India announced on Wednesday. View More..
Ipoh (Malaysia), March 26 (IANS) India zoomed to the top of the table of the Sultan Azlan Shah Cup with a commanding 4-2 victory overs hosts Malaysia at the Sultan Azlan Shah Stadium here on Tuesday. 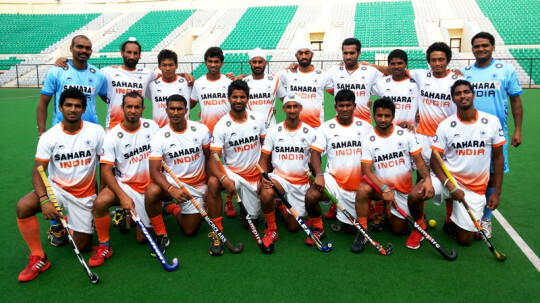 View More..
Ipoh (Malaysia), March 23 (IANS) The Indian men's hockey team started their 28th Sultan Azlan Shah Cup campaign on a positive note as they defeated Asian Games champions Japan 2-0 here on Saturday. View More..
New Delhi, March 22 (IANS) In an effort to develop coaches from the grassroot level and enable them to meet the requirements and the ever-growing demands of international hockey, the sport's governing body in India on Friday launched the Hockey India Coaching Education Pathway. View More..
Ipoh (Malaysia), March 22 (IANS) India will take on the 18th Asian Games gold medallists Japan in their opening encounter at the 28th Sultan Azlan Shah Cup here on Saturday. View More..
Bengaluru, March 18 (IANS) Ahead of the Indian mens hockey teams departure for the 28th Sultan Azlan Shah Cup in Ipoh, Malaysia, skipper Manpreet Singh and his troops expressed their eagerness to compete in the first marquee event of the year. 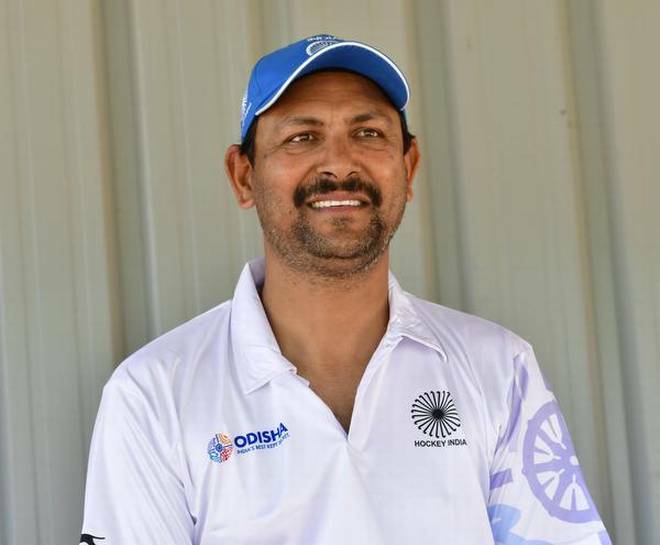 View More..
Bengaluru, March 13 (IANS) India vice captain and reliable defender Surender Kumar feels the experience gained by the youngsters in the upcoming 28th Sultan Azlan Shah Cup 2019 will be beneficial for the team in the FIH Men's Series Finals, slated to be held in Bhubaneswar this June. View More..
Kolkata, Feb 27 (IANS) With the Hockey Series Finals under the scanner in the wake of India-Pakistan tension, former India captain Gurbux Singh feels it's a "shame" that players aspiring to take part in Olympics might have to suffer because of the deadlock, and insists that India should play Pakistan in international events and thrash them. View More..
Hisar (Haryana), Feb 18 (IANS) The Railway Sports Promotion Board (RSPB) were crowned champions for the sixth straight time after they outclassed Hockey Madhya Pradesh 5-0 in the final of the 9th Hockey India senior women Nationals at the Astroturf International Stadium here on Monday. View More..
Hisar (Haryana), Feb 17 (IANS) Defending champions Railways and Madhya Pradesh won their respective semi-finals to enter the title clash of the 9th Hockey India Senior Women National Championship 2019 (A Division) here on Sunday. View More..
Hisar (Haryana), Feb 16 (IANS) Defending champions Railways, Haryana, Madhya Pradesh and Maharashtra would take their shot at their spots in the final at the semi-finals of the 9th Hockey India Senior Women National Championship 2019 (A Division), here on Sunday. View More..